Here is a piece of really good news: There are a LOT of different ways to lower cholesterol. Really! So many in fact that they can’t all fit into this article. Here you’ll get all the most important ways in which you can lower your cholesterol levels. All methods all ‘natural’ …except for one. Here is an overview of the different methods to lower cholesterol. The different subjects will be dealt with one by one later in the article. First we need to get one thing straight. Cholesterol in itself is not bad. Cholesterol is found naturally in your cell walls, your nervous system and in your brain. Your body needs cholesterol on order to function properly. So, if you have cholesterol problems, it’s not about getting rid of cholesterol. No it’s about …. You see, there are two types of cholesterol – HDL cholesterol and LDL cholesterol. And what you’ll be striving for is a healthy balance between the two. If your doctor says that your cholesterol is too high, what he means is that you’ve got problems with too low a level of HDL and too high a level of LDL. 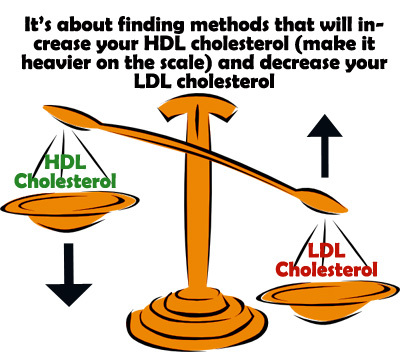 So what we’re looking for are methods that will raise your HDL levels and / or lower your LDL levels. LDL cholesterol is commonly understood as the “problem child” in the cholesterol family. Contrary to its poor reputation, LDL cholesterol isn’t bad in itself and under good conditions works as a strong antioxidant putting up constant fights against the harmful free radicals. BUT if LDL cholesterol oxidizes, it turns into plaque which may clot up your arteries. This is where a high level of HDL comes in really handy as HDL cholesterol help prevent the oxidization of LDL cholesterol (more here. Sorry all meat loving fans, I’ve got bad news for you. If you want a really effective solution to lowering your cholesterol levels, an American study has shown that a vegetarian diet actually lowers your cholesterol numbers TWICE as much as a conventional low fat diet. The vegetarian diet in the study was particularly rich on whole grain products, beans, salad and vegetable soups. A good rule of thumb is the coarser the food, the better. However, do be aware that if you decide to go vegetarian or vegan, there is a risk of missing out on important nutrients. So do consult your doctor and / or a dietician before choosing vegetarian or vegan ways to lower cholesterol. Also there is evidence that eating often has a positive effect on your cholesterol levels. A British cholesterol study has shown that eating more often (healthily of course) may actually lower your LDL cholesterol without lowering your good HDL cholesterol. How about that! Here are the ways to lower cholesterol via the foods you eat. These are the foods you’ll want to stuff into your grocery basket when you go shopping. 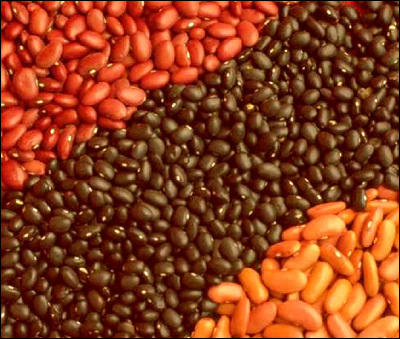 Did you know that beans are some of the most effective foods to lower cholesterol? Well, they are and the variety of beans is amazing. There is something for every taste. You can go for green beans, navy beans, pinto beans, kidney beans and more. These fierce cholesterol fighters have a remarkable ability to lower your problematic LDL cholesterol significantly (as already mentioned, too much LDL cholesterol may clot up your veins). A study has shown that beans may reduce your LDL cholesterol with as much as 24% if you eat about 100 grams of beans a day. So take a deep dive into your beans! “An apple a day keeps the doctor away” is more true than you might think. Many studies have demonstrated that fresh apples (preferably more than just one a day) have a really good effect on lowering LDL cholesterol and raising HDL cholesterol. You see, apples contain an unusual high about of the type of fibers known as pectin and pectin is a component that helps reduce the cholesterol in your blood (reference). Whereas fat dairy products are really bad for your cholesterol, yogurt is supposedly really good. Although researches agree that the effect of yogurt is positive, they don’t quite agree on how. Some say that it lowers your total cholesterol by decreasing LDL production (the bacteria that are used to ferment the yogurt block the cholesterol production. This means that you’ll have less cholesterol floating around in your blood). 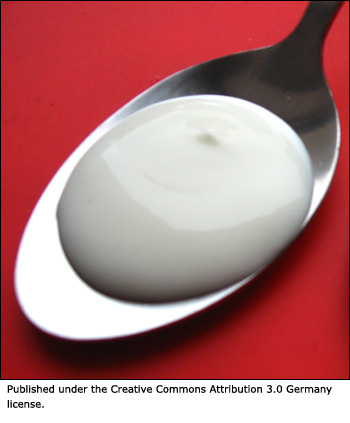 Others say that yogurt only affects (raises) HDL cholesterol and does not affect LDL cholesterol. So researches might disagree on how yogurt affects cholesterol BUT whatever the truth is, the conclusion is positive. There has been a lot of scientific dispute of whether garlic does or does not help with bad cholesterol numbers. However, the conclusion seems to be that it’s all comes down to how MUCH garlic you eat. 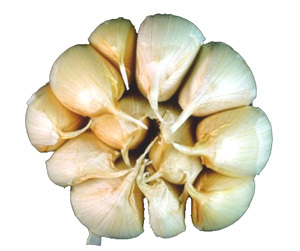 The more raw garlic you can sneak into your dishes and snacks, the better for your cholesterol. When you eat fatty foods, you need to be armed with aubergines. Aubergines work as ‘cholesterol magnets’ if you consume them while you eat fatty foods. Aubergine simply binds with your surplus cholesterol and ships it out of your body. Besides having a very high fiber density, oats contain a very special kind of fiber called beta-glucan which can help lower your LDL cholesterol significantly. A bowl of oatmeal each day might reduce your total cholesterol numbers with as much as 8-23%. Snacking between meals has a bad reputation, but if you replace unhealthy snacking with nuts, snacking can actually become really healthy for you. Nuts are rich in omega-3 (good for fighting triglycerides) and have high amounts of unsaturated fat (the GOOD type of fat). 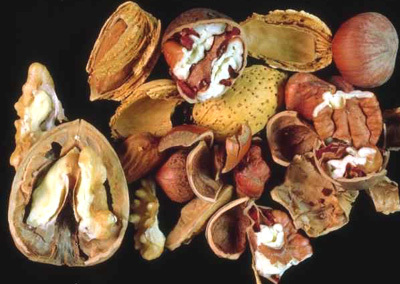 The nuts that have the highest amount of unsaturated fats are hazelnuts, walnuts, pecans, and pistachios. And don’t forget almonds, they are really good too. So how about snacking AND lowering your LDL cholesterol at the same time. Not bad, hey! Protein rich soy comes in many different shapes and sizes and regardless of its name (tofu, soy milk, soy beans, soy nuts) it can be a powerful cholesterol fighter. A study has shown that only 30 grams of soy protein added to an otherwise healthy diet may lower both your total cholesterol, LDL cholesterol and triglycerides. However, the verdict is still out whether it is recommended as a cholesterol lowering food in itself. What we do know is that soy does contain many healthy nutrients and is a more healthy option than fatty meats. Also, you might not want to go complete overboard with soy fanaticism as some soy products have been linked to an increased risk in breast cancer. Fermented soy, however, seems to go free of this cancer suspicion. 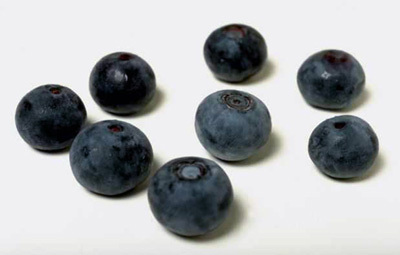 Quite a few studies have been made on berries and their effect on cholesterol. The results of the studies are different but they are all POSITIVE. Some studies say that berries lower your LDL cholesterol (the ‘bad’ cholesterol). Berries contain a compound called pterostilbene which has some of the same cholesterol lowering properties as one of the most effective antioxidants when it comes to lowering cholesterol, preventing heart disease and keeping your artery walls ‘clean’ and flexible. Other studies say berries raise your HDL cholesterol (your ‘good’ cholesterol). So I guess we can conclude that no matter what – berries are fabulous for your cholesterol levels. Even though it doesn’t sound healthy, the fish you want on your plate are actually fatty oily fish. Yes, that’s right! 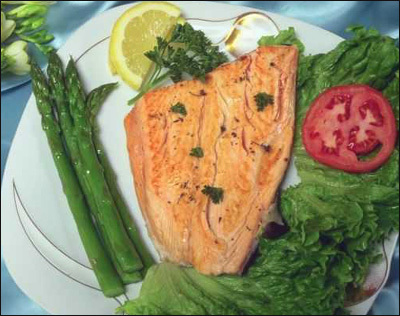 Fatty fish like salmon, tuna, mackerel, trout and sardines are really healthy. You see, they are packed with omega-3 fatty acids which help lower your triglycerides (another type of fat you don’t want too much of) in your blood and help prevent the oxidization of LDL cholesterol, thereby preventing the building up of plaque in your arteries. 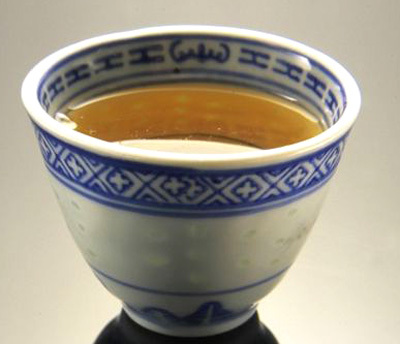 Besides being a really cozy drink on a rainy day, tea also has quite a few health benefits. And when it comes to lowering cholesterol, the less processed the tea, the better. Green tea along with black tea contain strong antioxidants but green tea has a higher degree of polyphenol, which include flavonoids. Flavonoids are also present in wine (a glass of wine also has cholesterol lowering properties). Flavonoids are found to be efficient in lowering LDL levels and preventing the clotting up of arteries. The longer it takes for your food to pass through your intestines, the more cholesterol your body absorbs. 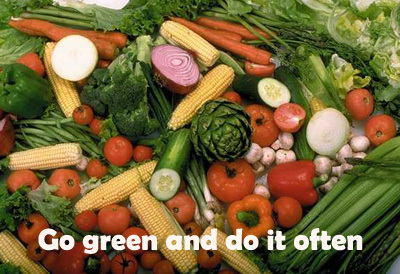 And fibers put a faster engine on your food so that it passes through your intestines quicker. One of the best ‘racer car’ fibers is called pectin. 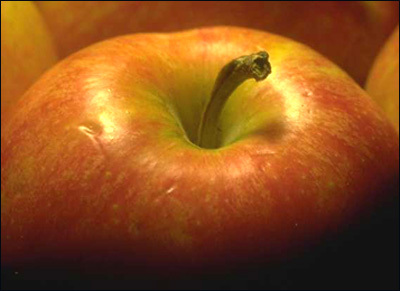 And pectin is particularly rich in apples (as already mentioned) but is also present in many other types of fruits and vegetables. Fibers bind with the cholesterol in your food so that your body and blood goes free of the cholesterol, and the cholesterol goes down the toilet instead… literally! Also, fibers bind with your gall acids, preventing them from turning into cholesterol in your liver. If you find it difficult getting enough fibers even though you eat a healthy coarse diet, you can find fibers as natural supplements in health shops. We all need fat in our diet and unsaturated fats are the good guys when it comes to eating fat. The way you can recognize unsaturated kinds of fats is that they can be found in liquid form at room temperature. In their natural form you can find unsaturated fats in nuts, avocados, olives, seeds, among other things. Unsaturated fats can be divided into two camps: monounsaturated and polyunsaturated. Both types of fats help lower LDL cholesterol and maintain or even raise your HDL cholesterol level. Some studies indicate that monounsaturated fats (found in avocados, almonds, olives, peanuts, hazelnuts, pumpkin seeds) are more efficient when it comes to lowering LDL cholesterol and may even raise HDL cholesterol. However, polyunsaturated fats (found in fish, walnuts, flax seeds, soy) contain the important omega-3 fatty acids which help fight another fatty component in the blood, triglycerides. So I guess the conclusion is that whatever type of unsaturated fatty oil you choose, you can’t go wrong. So why not do both! For years, the B vitamin, niacin, has been used to raise HDL levels. However, high dozes of niacin don’t always come without side effects such as potential liver damage. Chromium is something we all need, but in very, very small amounts. Chromium levels decrease with age and food processing procedures today take away much of the foods’ natural content of chromium. Therefore many people are in lack of chromium which can lead to elevated cholesterol levels and type 2 diabetes. Some clever minds have found out that if you mix niacin and chromium, you get a very good cholesterol lowering supplement WITHOUT niacin’s side effects (more here). Vitamin C is an antioxidant which I have already mentioned help prevent the oxidization of LDL cholesterol, fights the free radicals and all in all help prevent inflammation and atherosclerosis, a condition where plaque accumulate in your arteries. Quite a few studies of vitamin C and its effect on cholesterol have been conducted and the conclusions seem to differ a bit. Some studies conclude that vitamin C raises HDL cholesterol. Other studies conclude that vitamin C doesn’t lower cholesterol as such but is really good in other ways as it helps prevent heart disease because of the antioxidant properties mentioned above. The best way to increase your vitamin C intake is via your diet (e.g. oranges, grapefruit, kiwi, mango, broccoli). And remember, raw is better. You can also get Vitamin C as a supplement, but do consult with your doctor first in order to be sure you are getting the correct dosage. Researchers in Wisconsin have made a very interesting discovery. Not only does vitamin E raise your HDL levels, the LOWER your HDL levels are to begin with, the BETTER it works. Navigating the jungle of E vitamins can be a bit confusing but the best E vitamin when it come to lowering cholesterol is the E vitamin, tocotrienol. The antioxidant power of tocotrienol is up to 60 times greater than that of ‘normal’ vitamin E.
Also not only does tocotrienol prevent the building up of plaque in your blood vessels it may even reduce it. Coenzyme Q10 is an antioxidant and like vitamin C it helps prevent the oxidization of LDL cholesterol and puts up a brave fight against the free radicals. The verdict is still out whether Q10 actually and directly lowers your cholesterol levels, but it has been found to be a great help to those taking statins for their cholesterol as it reduces statins’ side effects (you can read about statins in the medical section further down in this article). Apparently researchers are a bit confused as to whether selenium is good for lowering cholesterol or not. Resent conclusions say “yes, selenium does good for your cholesterol levels by raising HDL cholesterol”. However, in the US people already have a high dosage of selenium in their bodies so it is not recommended that they increase it with selenium supplements. If you’re a fan of turmeric, I have good news for you. Turmeric contains curcumin (another powerful antioxidant when it comes to lowering cholesterol). When lecithin is added the absorption of curcumin is even more efficient. In Germany they are quite fond of lecithin as they have proved that people with too high cholesterol levels benefit greatly from lecithin. Not only does lecithin raise HDL cholesterol, it also lowers LDL cholesterol. Therefore the Germans have formally introduced and approved of lecithin as a cholesterol lowering supplement. Policosanol is a natural extract from sugar canes and several studies have proved its beneficial effect on lowering cholesterol levels (even more efficient than statins). Policosanol may lower LDL cholesterol, lower triglycerides and raise HDL cholesterol. A study of natural over the counter artichoke (cynara scolymus) leaf extract has shown that it may lead to a drop in both total cholesterol and LDL cholesterol. 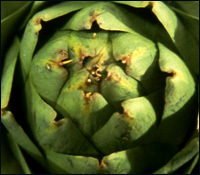 Besides having antioxidant properties, artichoke hinders the dangerous oxidization of LDL cholesterol. 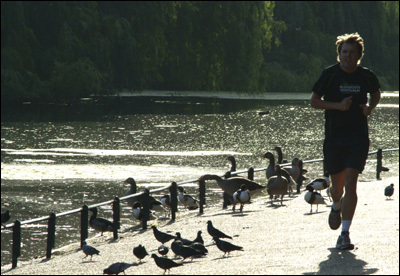 Measuring how physical exercise influences cholesterol is a tricky matter. One of the good things that happen with exercise is that you lose weight. If you are overweight the LDL concentration in your blood is most likely higher than is the case with people with normal weight. Exercise also activates the enzymes that transport LDL away from the blood and down to your liver (where it gets turned into bile). Apparently the harder your exercise, the better the effect will be on your cholesterol levels. However, research does show that even moderate exercise (like a daily walk, bicycle ride, swim etc. ) also has some effect. I think that we can all agree that the best way to lower cholesterol is the natural way via dietary changes, more exercise and quitting bad habits like smoking. However, if eating differently and exercising don’t push your cholesterol numbers down, your doctor might prescribe statins. Statins are by no means a miracle cure for high cholesterol levels. Statins can lower your LDL cholesterol, which is a good thing. However, often statins also lower your HDL cholesterol – which you want as high as possible. Also statins come with a very, very long list of potential side effects (more than 300). Some of the unfortunate side effects are headache, drowsiness, nausea, rash, diarrhea. More serious side effects are increasing risk of dementia, cancer, weakening of the heart, type 2 diabetes and the building up of plaque in aorta. If your doctor orders you statins, you will probably be advised to take Q10 and creatine supplements. Statins lower your bodies ability to produce Q10 which is a powerful antioxidant. Many medical professionals are very critical about the widespread use of statins and say that they do more harm than good. It’s one thing to adopt new foods into your life. Waving goodbye to old foods and habits is also necessary if you want to lower your cholesterol levels. Smoking does not only increase your risk of cancer, it is also very bad for your cholesterol levels. Research has documented that smokers have a lower level of HDL cholesterol (the good cholesterol) in their blood. Smoking is also an antioxidant enemy as smoking lowers the vitamin C level in your body. And vitamin C, as we know, help prevent the building up of plaque in your arteries. Transfats are unnatural fat molecules that can be found in e.g. margarine. Transfats are bad in every possible way as they increase your LDL cholesterol and lower your HDL cholesterol. Transfats occur in the process of making fluid oils soild e.g. when making margarine. Red meat (beef, pigs or lam) have more saturated fats than their ‘paler’ cousins, fish and poultry. If you really don’t to miss out on a good beefsteak, then the American Heart Association recommends that you take smaller portions, choose lean versions and cut away the fats. Full-fat dairy products also have a high concentration of saturated fats so when it comes to dairy, you want to go for the low-fat versions.